Reply@Cristian Baciu：Maybe an open-mouthed pose for the dragon could convey more of the epic power we're accustomed to link to them. 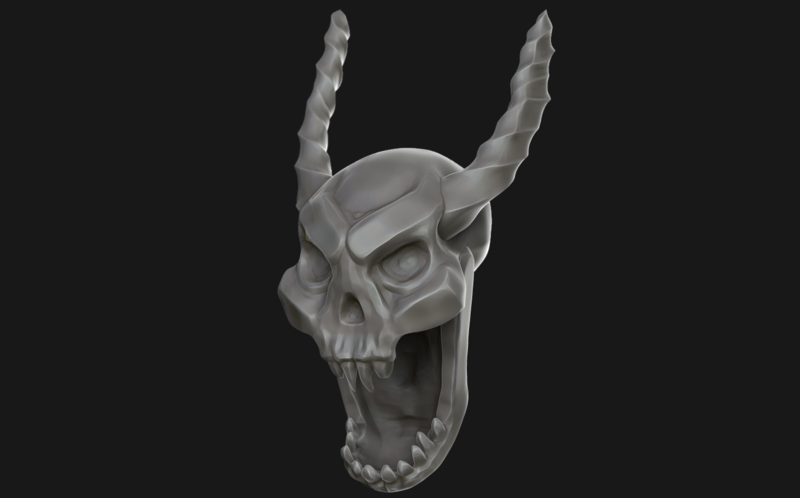 The skull, having the upper incisors and canines reversed, looks a bit cartoonish, it reminds me of Ronal the Barbarian. The insets of the scythe, when viewed up-close (the last pic), look a bit out of place; having more defined edges on the insets would make the scythe look more credible. Hope this helps! Yup, It helps a lot! 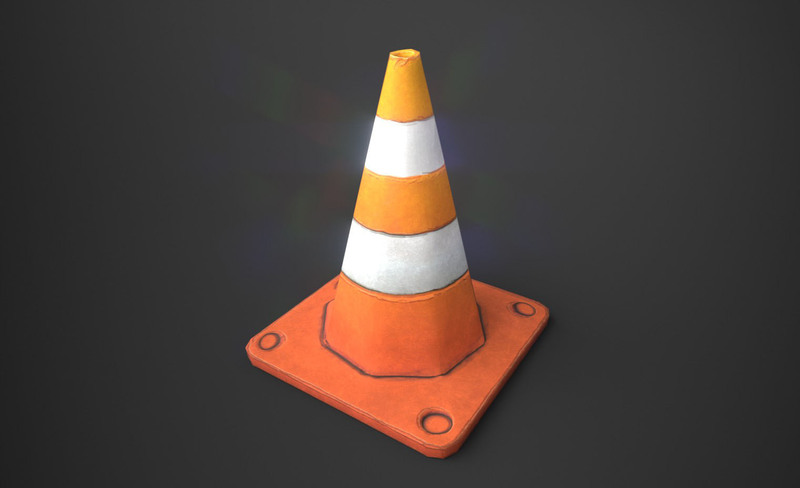 :D Both sculpts were designed to be 3d printed as little objects (~4cm) and could be considered as WIP as sculpts (too much undefined shapes). The shythe is a mess, was my first sculpt as hard surface, full done without modeling, actually wanted just to try the new matcap and the printer when I did it. 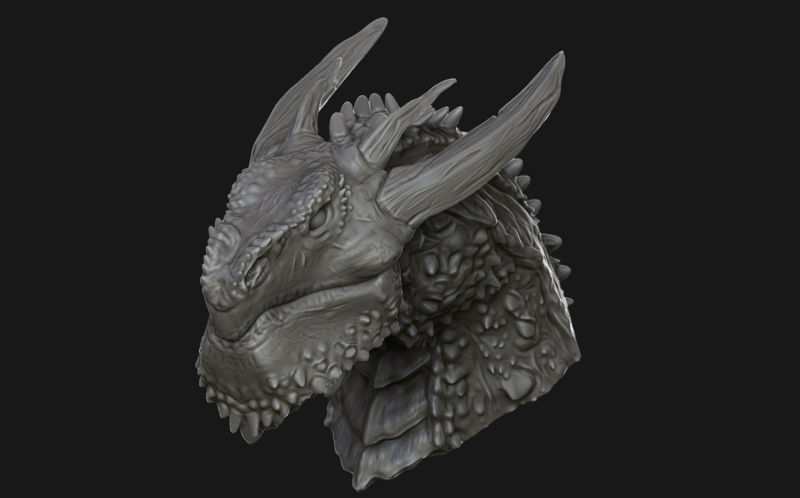 I will be sure to work again on them to finish the work, and I' ll also try to add some more poses for the dragon after polishing it too (it needs it on mostly on the spikes) and making the inside of the mouth :) Again many many thanks for the tips ! Maybe an open-mouthed pose for the dragon could convey more of the epic power we're accustomed to link to them. The skull, having the upper incisors and canines reversed, looks a bit cartoonish, it reminds me of Ronal the Barbarian. 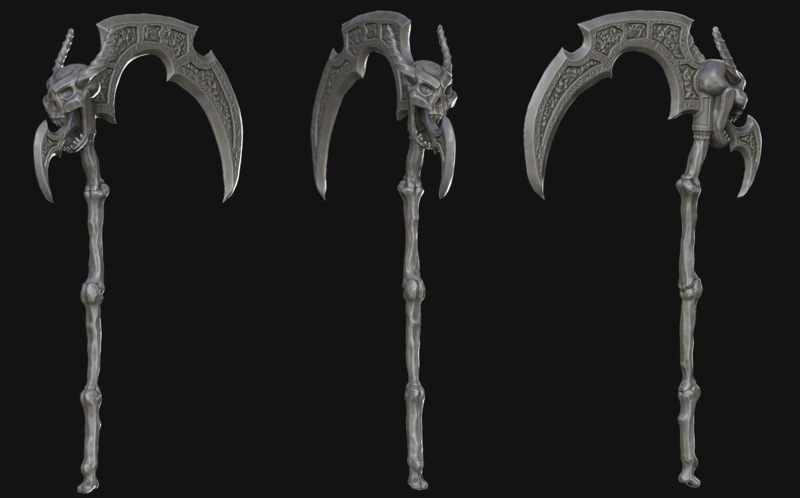 The insets of the scythe, when viewed up-close (the last pic), look a bit out of place; having more defined edges on the insets would make the scythe look more credible. Hope this helps!